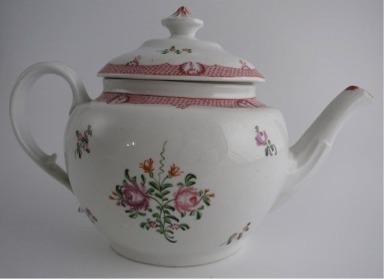 An attractive Coalport 'John Rose' teapot in the style of New Hall, c1805. 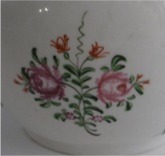 Decorated with the New Hall style of flower bouquets in pink, orange and green and having a pink 'diaper' style border. 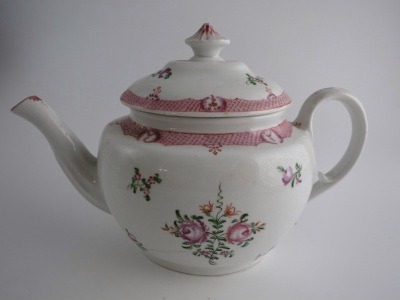 The smooth ovoid body of this teapot is charmingly decorated with hand painted flower bouquets and sprigs in pink, orange and green enamels, mush in the style of New Hall pieces of this period. 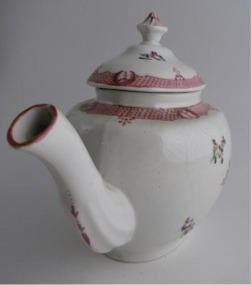 On each side of the teapot there is a central main flower bouquet around which are four lesser flower sprigs of different kinds. 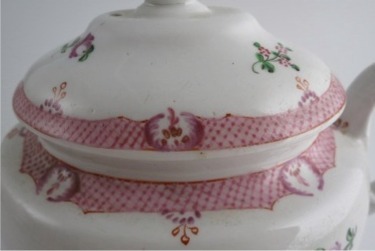 Around the shoulder of the teapot and rim of the cover is a decorative pink 'diaper' style border, again much in the style of New Hall. 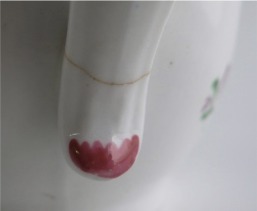 The elegant spout is half reeded to the lower portion and has pink decoration to the end and tip of the spout. 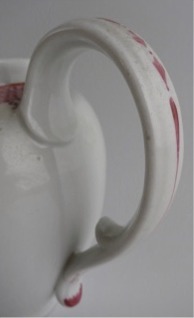 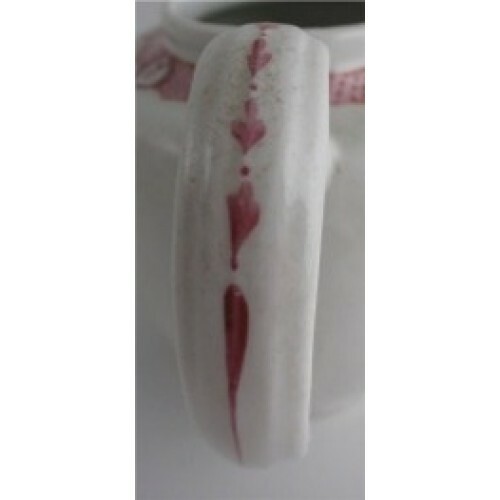 The open loop handle has an inward pointing spur to the lower portion and applied pink foliate decoration to the back edge of the handle. 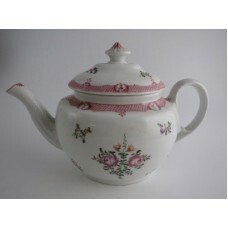 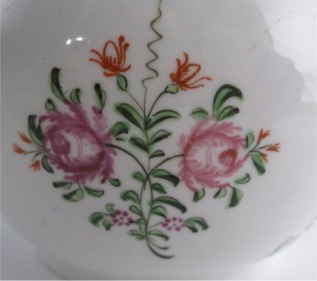 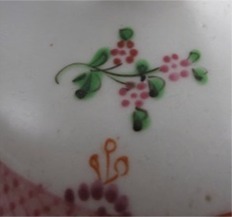 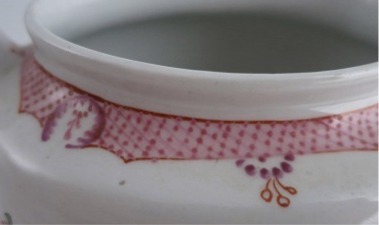 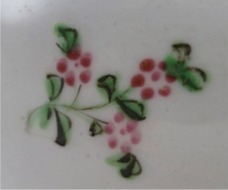 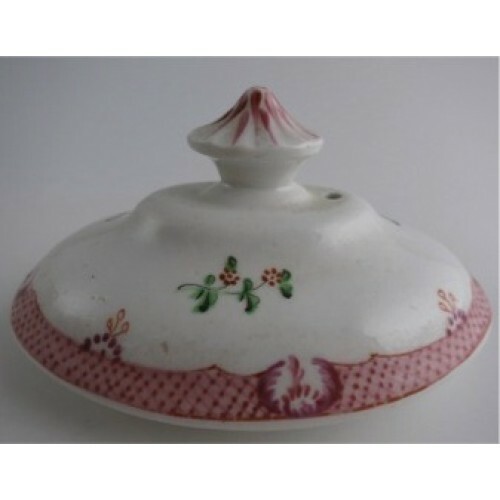 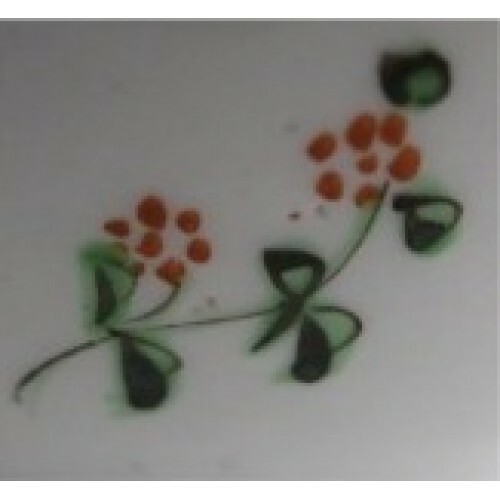 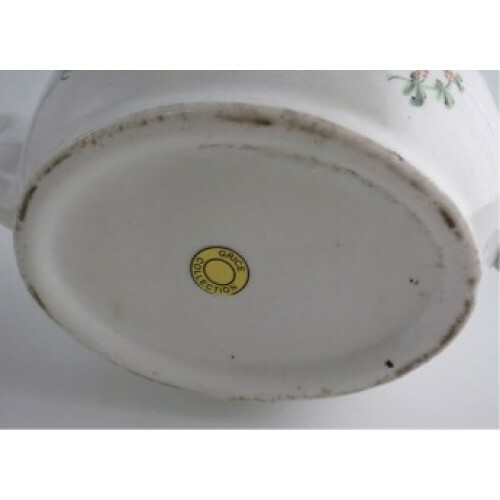 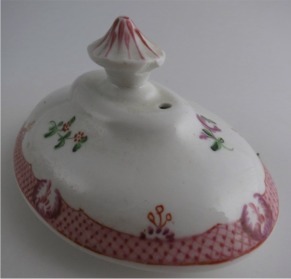 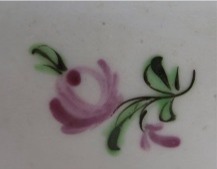 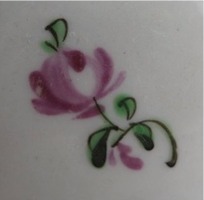 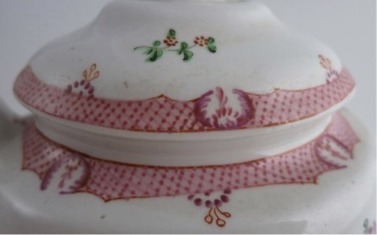 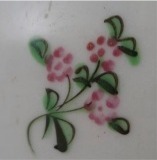 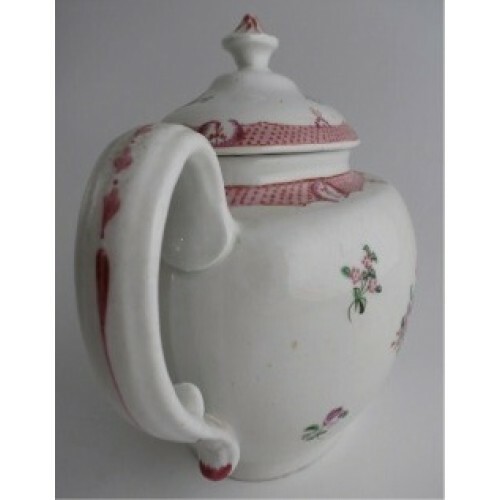 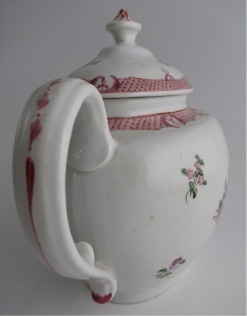 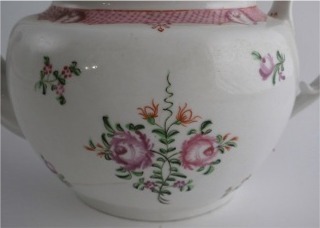 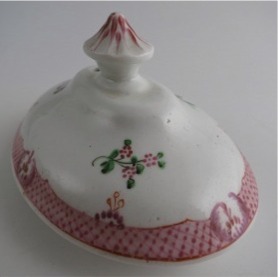 The oval cover has the same elegant decoration as the teapot, with four floral sprigs and the rich pink border. 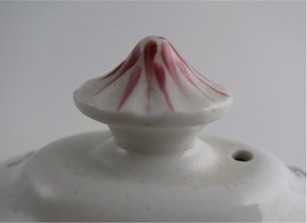 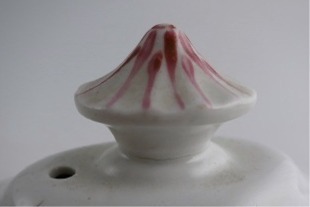 There is a faceted moulded mushroom style finial to the cover, this having radial pink lines applied. 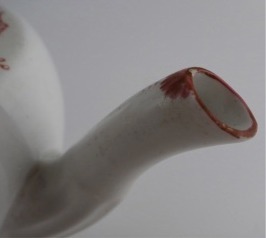 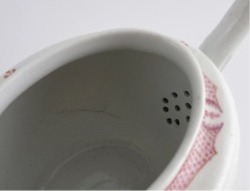 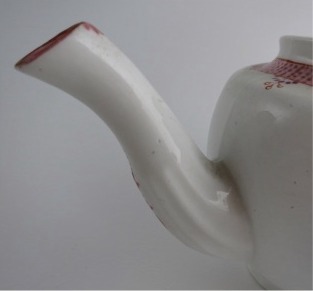 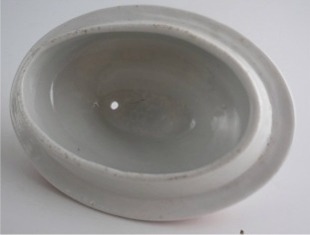 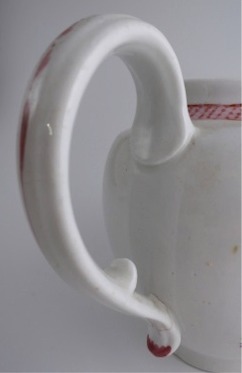 9¾" (247mm) length of the teapot from the tip of the spout to the back edge of the handle. 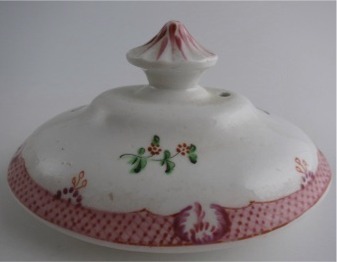 1lb 6oz (624gms) weight of the teapot and cover. 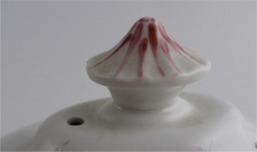 The finial has been reattached, a fine line can be seen round the base of the finial. 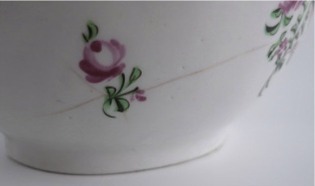 Very fine stress cracks to the body of the teapot, these again are tight cracks. 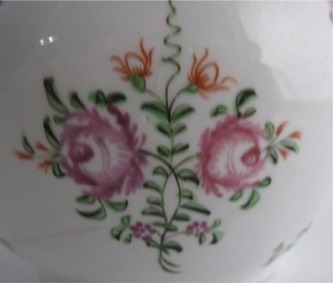 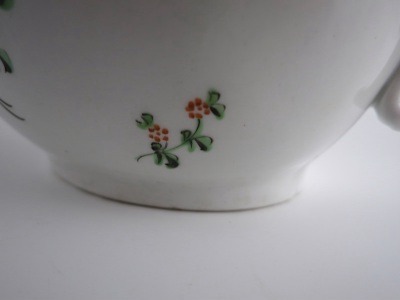 Despite these imperfections this is a very decorative display Coalport teapot, c1805. Condition (See main description for full details and pictures) This very pretty Coalport teapot is in fairly good condition for a display item, but it does have some imperfections: the finial has been reattached, a fine line can be seen round the base of the finial. 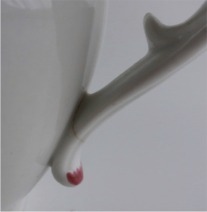 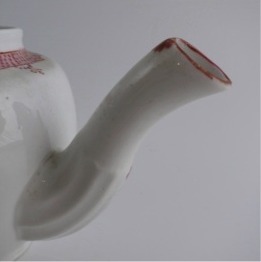 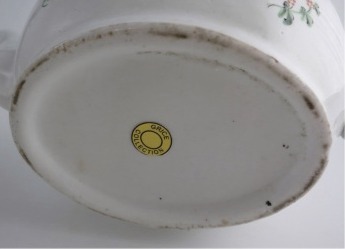 There is a tight stress crack to the base of the handle, and there are very fine stress cracks to the body of the teapot, these again are tight cracks. 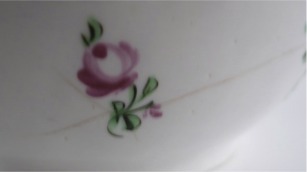 See main description for pictures of the condition. 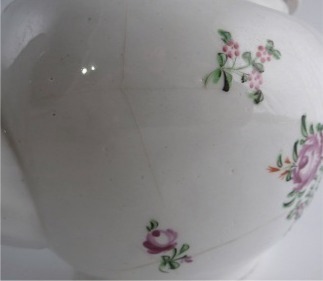 Despite these imperfections this is a very decorative display Coalport teapot, c1805.